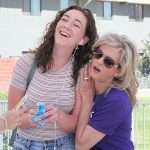 The Office of Communications and Public Relations at Grand Canyon University is responsible for two general-interest publications created for students, faculty and staff on campus and online. Our mission is to tell the stories of the University in an informative and timely manner across multiple platforms, guided by principles of accuracy and fairness. GCU Today is the University’s official news source. 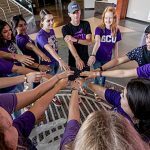 The GCU News Bureau staff is responsible for reporting in words, photos and video on the people, programs, events and activities of the GCU community. GCU Today Magazine is a quarterly print publication available across campus as well as online and by mail. The magazine takes a long-form look at the issues and people making news at the University, and it also serves GCU’s alumni base. For public relations or media inquiries, contact Bob Romantic, Executive Director of Communications and Public Relations, at 602-639-7611 or bob.romantic@gcu.edu. 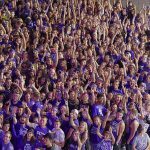 Stay up-to-the-minute with GCU’s Facebook, Twitter and video channel. Please direct questions, comments and story ideas relative to GCU Today to GCU.Today@gcu.edu. Mailing address: 3300 W. Camelback Road, Building 5, Phoenix AZ 85017. 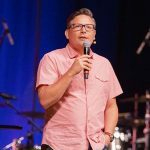 Grand Canyon Theological Seminary, which opened in 2016, reached another milestone recently when it received full accreditation for five degree programs from the Association of Theological Schools (ATS). It's a big step, but even more significant was the impression the University left on the visiting ATS site team. 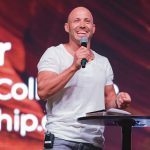 The final Chapel talk of the spring semester was more than just a talk. Justin Unger of Likewise Worship Collective performed songs before discussing the importance of using music to bring people together at church services -- not have separate services for different age groups.